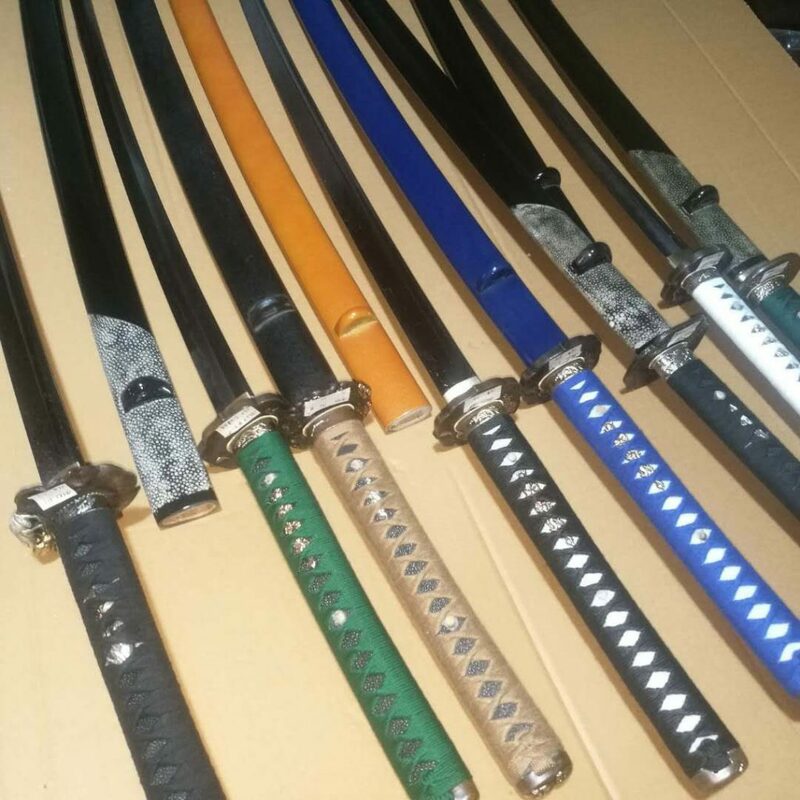 SBG Custom Katana – Batch 44 and Batch 45! We were hoping to actually be shipping batch 44 from the forge, however as is often the case with custom sword orders (or indeed, custom anything orders) there has been a bit of a unintended delay.. While the forge did their bit and shipped the completed batch out on time, it appears that our friends at EMS who ship the swords to our inspection team have seemingly gone on holidays leaving our shipment sitting at the docks in China unable to move.. However, as the forge is shut down until the 12th of February, we had planned this as the ideal time to start taking new orders for Batch 45.. And even though we weren’t quite able to get batch 44 where we would have liked it to be, we can’t stall taking new orders for much longer – so from now until the 12th of February we are now taking orders for BATCH 45 of the SBG Custom Katana.. Despite enormous pressure to raise the price, we will keep it at just $429.99 shipped – so if you are tired of ordering inferior quality custom swords from eBay or Amazon and want to get the best possible product, guaranteed to be customized to your specs and to meet and even exceed your quality expectations – now is your golden opportunity (these swords are subjected to the kind of quality control usually reserved for swords several times the price).